Mountain Lake PBS in Plattsburgh, NY produced a short six-minute video of the My Lai Memorial Exhibit in September as part of their Veterans Coming Home series. In the video Veterans for Peace member Pete Conroy speaks about his experience as a G.I. in Vietnam and the strong impact the Memorial Exhibit had on him personally. 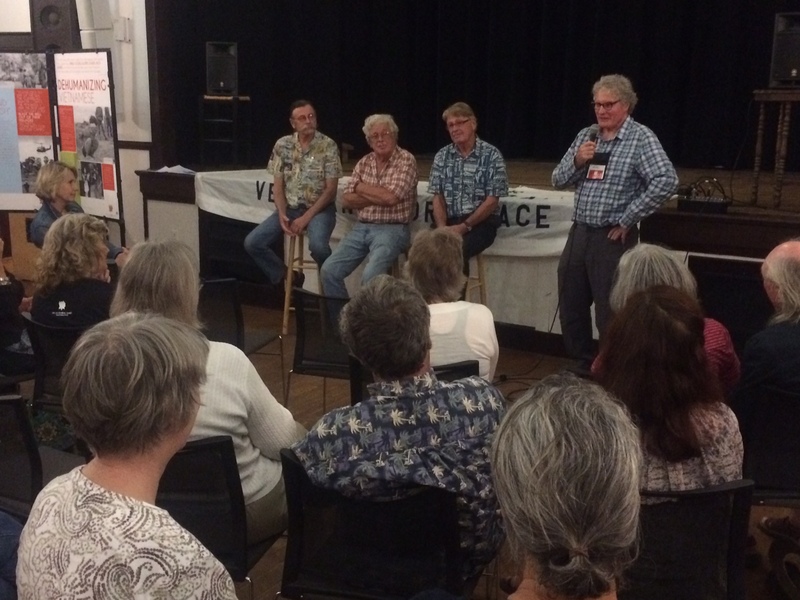 Pete and his two brothers John and Mark led a discussion on”Healing the Wounds of War in Vietnam. John is a Vietnam vet and a journalist who was embedded with troops in Iraq. Mark was the Vietnam Country Director for the East Meets West Foundation that is deeply involved in healing the damage in Vietnam from their American War.